I am Visiting Professor at the Centre for the Analysis of Social Exclusion (CASE) and an Associate at the Grantham Research Institute on Climate Change and the Environment (GRI), both at the London School of Economics and Political Science. 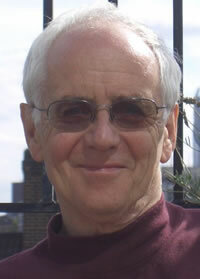 Until summer 2009 I was Professor of Social Policy at the University of Bath, where I am now Professor Emeritus. I was born in Hitchin, Hertfordshire in 1942 and went to Hitchin Boys Grammar School. After studying Economics (in fact Political Economy) at Cambridge in the early 1960s, I moved into Social Policy (formerly called Social Administration) at Manchester University where I remained for a remarkable (in hindsight) 31 years. Social policy attracted me since it combined the study of human wellbeing and state policy interventions. Participating in a group reading all three volumes of Marx’s Capital I determined to apply Marxist political economy to the understanding of social policy in advanced capitalist societies. The result was The Political Economy of the Welfare State (1979). My next step was to collaborate with a philosopher friend, Len Doyal, to tackle normative and philosophical questions about the more fundamental ends of social action, politics and social policy. This focused on the nature and claims of meeting human needs and their distinction from human wants and preferences. The result was A Theory of Human Need (1991). In 1995 I moved to the Chair of Social Policy at the University of Bath and continued these explorations in the Wellbeing in Developing Countries research centre there, directed by Allister McGregor, which resulted in the book of the same name (2007). My parallel attempts to marry the political economy and the human need-wellbeing approaches were brought together in a book of essays, Global Capital, Human Needs and Social Policies (2000). On retiring from Bath I moved to London and became Visiting Professor at the LSE in 2009. Finally grasping the imminent threat of global warming and environmental limits to all aspects of human wellbeing, I determined to change course again and study climate change, from both moral economy and political economy perspectives. For the last decade I have been researching into the social dimensions of climate change, the impacts of inequality and capitalist growth on global warming, how universal human needs can yet be satisfied and how eco-social policy might safeguard sustainable wellbeing. The result has been published as Heat, Greed and Human Need: Climate change, capitalism and sustainable wellbeing (2017).